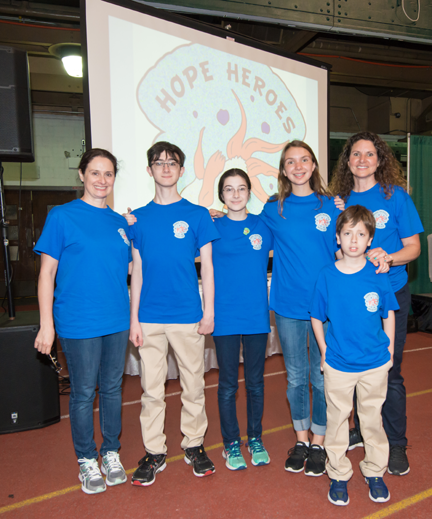 This year’s winning Odyssey Angels team was Hope Heroes from Monterrey, Mexico. Their project centered on helping residents of a local retirement home. Not only did the team spend a lot of important quality time at the residence, they also re-designed and built popular board games with disabilities in mind. They picked their favorite games and made them shorter, simpler to play, and even built new game pieces so that they were larger and easier to see and hold. By making the games more accessible to the seniors, Hope Heroes could spend time playing games and making connections with people that most needed it in their community. “As a team, we felt really good. The sense of accomplishment and making the seniors happy overwhelmed us. We were able to spend a longer time with the residents playing games and in the end, it was that communication and sense of belonging that is needed between people and generations,” said Miranda Sada and her team of Angels.